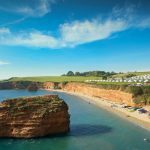 Nestled in the rolling Devon Hills overlooking the unspoilt Jurassic Coast, Ladram Bay is the family owned Holiday Park in Devon that has something to offer everyone. Boasting 5 star Visit England status and recent recipients of both the Hoseasons award for family fun for the eighth consecutive year plus newer accolade; National Customer Choice Food Award (2017 & 2018) you can be assured that your holiday will be better than ever before. 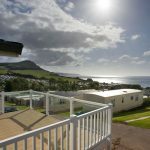 Whether you are staying in a holiday lodge or holidaying in an apartment, holiday home, Glamping Pod, touring caravan or tent, you can be sure of one thing – you’ll have superb facilities only a few minutes’ walk from your accommodation. 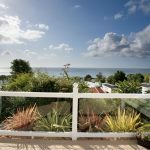 Enjoy luxury accommodation with external decking and a hot-tub whilst you soak up the stunning views of the Devon countryside, and the Jurassic Coast. Take full advantage of our outstanding pool complex, with interactive splash zones, sauna, steam room, Jacuzzi and gymnasium and challenge your family on our Jurassic themed Adventure golf course or indoor Climbing wall. Enjoy panoramic views whilst dining within Pebbles Restaurant and enjoying our superb menu created with the finest of local produce, alternatively opt for a traditional seaside Fish & Chip takeaway from Coast. With a private sheltered beach, with watersports and hire equipment just a short stroll away from anywhere on the park, it’s an ideal location for those unforgettable family holidays, reunions, celebrations or special occasions. 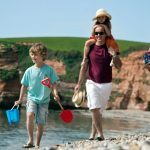 In addition to holiday accommodation, Ladram Bay also offer holiday homes & luxury lodges for sale to suit all tastes and budgets. 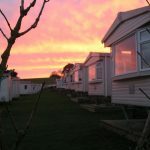 Prices for pre-loved holiday homes start from just £19,950.00 and competitive finance options may be available. 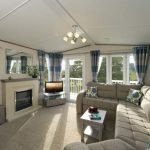 Enjoy owner exclusive facilities, sublet to cover your running costs and make memories to cherish forever at Ladram Bay Holiday Park.